After what seems like forever of being stuck with using old versions of 3DS Max, there is now a way to create and render TSO/TS1 objects using blender, with z-buffer and multitile support out of the box. Click here to download the template (v1.1)! Click here to download the script (v1.1)! Download the blender template. This contains most of the render setup - specifically the lights, cameras and the node configuration you see above which performs the Z and Alpha bmp export. Install our script which allows smarter multitile rendering. This is not necessary (4 rotations for single tile can be rendered via Render Animation), but is recommended for if you wish to move onto making a multitile object. Click the Install from File button, and choose freesomultitile.py. Tick the box next to FreeSO Multitile Exporter to activate the project. The FreeSO Tab will appear in your 3D View. This will be the home of all FreeSO plugins. Render with the "Final" preset and "Full Global Illumination" when you are finished creating your object. Until then, you should probably use "Preview" or even model the object's shape out with Blender Render as it is much faster. You should also render only a single tile and rotation using blender's normal render functions - do not continuously render all of them as that will take a long time! Right now, the volcanic sprite importer is your biggest enemy! If your image has too many colours, it won't be quantised correctly and will look really bad. Also PIFF seems to completely nuke itself sometimes. These issues will be fixed eventually, but just be careful until then. You may even wish to reduce the colour depth of your bitmaps before importing them! When you click "Render Multitile" Blender will freeze completely until the render operation is done. PLEASE WAIT UNTIL IT COMPLETES! Please do not set the width and height to like 32 and then do this... You will lose everything! This will be solved eventually, once I figure out how to asynchronously render back to back with python. Fulfil your wildest dreams... Including an arrow table which makes no physical sense other than to tell you which way north is! WicCaesar, Alonzo, simsfreak and 11 others like this. Make sure you completely reinstall the script, or it won't work! Zockoyka, Nahuel3d, Gabriel_L_Ferraz and 8 others like this. NOTE: Settings in the current version are a little blue, mainly because of the glossy outdoors nature of the example object. For indoors object, set Turbidity to 10. WicCaesar, Alessandro Needs A Server, zc456 and 1 other person like this. I don't know why it would display a black screen, I think it's just a second render window placed at the camera. Hmm, I thought you meant window as in the second panel in the separator. That black window shouldn't be there. So I have been messing around with Blender for quite some time, but for the life of me I cannot figure out how to render the Z or alpha channels -help? I've only been able to do so using the script. Render Animation (as suggested in Part 2 of the instructions above) did give me the alphas, I think, but the Z was just flat grey. You must use this template with the plugin to render these channels. Yep, using the template with the plugin installed. I had another go and found I was mistaken, Spiker90910. If I managed to render the alpha out before I sure dunno how now - but chances are higher that I was simply mis-remembering. Rhys, render animation is resulting in the following Z buffer on the RenderLayer Layer. Well, I got the 3 layers from rendering the 4 camera angles separate, however the z-buffers are off - I have to adjust them via photoshop. Are the Z-buffers supposed to be accurate, or is tweaking necessary, or am I doing something incorrect? They are meant to be exact. Have literally no idea why they wouldn't be, all I can say is make sure you are on the latest version of blender. You're not meant to use render animation due to how the script needs to be wired. 1. After rendering... I export my creations as what? .ply? .stl? 3. Do I use volcanic to import it and then is saved in the game? PS. Me and blender come a long way -- Its giving me something extra to get busy about. I save as a .blend file. 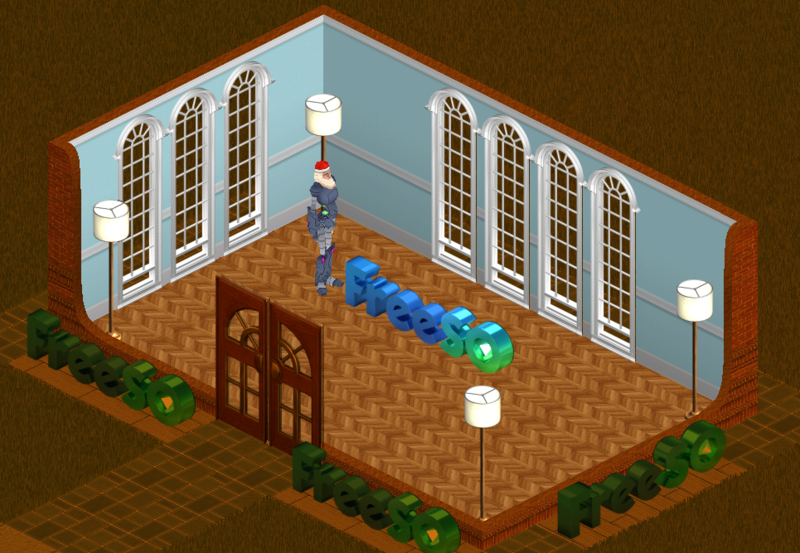 The 3D model is not turned into the Sims object itself. It is made specifically to get the renders.